Credit rating agency Moody’s recently released a report claiming that Chinese financial auditors have understated local government debt by half a trillion dollars. This is no small estimate, and the thought of so many non-performing loans on bank balance sheets is enough to make any seasoned investor bearish on China. Of course, the majority of debt is fueled by lending that is going to local provincial and municipal governments and developers to fund new infrastructure and building projects. Banks are making these loans because of direct orders from the top-level of China’s central government. These orders were stepped up significantly after the 2008 world financial crisis to keep the country’s growth engine humming along as the export market fell off a cliff. The New York Times wrote an article acknowledging that China’s building boom is stirring up fears of debt overload. 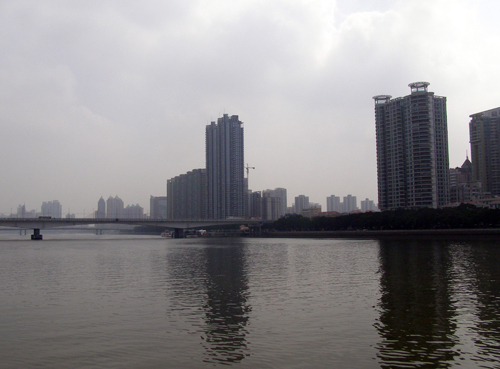 To get a better understanding of the situation, the NYT examined the central China city Wuhan to see what the process of urban development entails from a financing standpoint.The piece does a good job of explaining how municipal governments often set up separate entities (state-owned) to help finance and construct large-scale infrastructure projects. In the case of Wuhan, the city set up an entity called ‘Wuhan Urban Construction Investment and Development’, or Wuhan UCID. According to the NYT piece, Wuhan UCID “has over 16,000 employees, 25 subsidaries, and 15 billion dollars’ worth of projects, including roadways, bridges and sewage treatment plants.” Sun Zhengrong, a spokesman for Wuhan UCID, admitted to the NYT that the company is heavily in debt. China’s mode of development is contrary to everything that is sacred to Chicago school economists and free-market fundamentalists. If it were up to the ‘market’ to decide the fate of entities like Wuhan UCID, it should fail tomorrow because of its tremendous liabilities. There is no way that Wuhan UCID will ever be able to recoup its investment in things like bridges or sewage treatment plants because these kinds of investments don’t traditionally turn a profit. Infrastructure investment is necessary for any developing economy. China understands this and is willing to take the risk of ordering its state-owned banks to make loans towards this type of investment (even if they are never paid back). In a sense, entities similar to Wuhan UCID (of which there are countless across China) and the state-owned banks lending to them are ‘too big to fail’. When entities like Wuhan UCID do default on their loans, it is likely to dissolve into smaller pieces or restructure into something different to avoid the responsibility of paying them back. The ‘failure’ of these entities to pay back loans also ensures that the central government maintains control over local governments. What about the banks? The reality is that China’s banks are nothing more than conduits for the government to spend money. They are in no hurry to recoup their loans- rather they have a longer view and see the hundreds of millions of new Chinese homeowners as a stabilizing force in the banking system (and the social system as well). China’s leaders also realize that the era of cheap labor won’t last forever, thus the rush to build the country’s infrastructure. Property developers, whether state-owned or private, are also tools of the government, pressured into acting fast to build or risk losing land they had successfully bid on. What are the implications for overseas investors? It is important, first, to acknowledge that the Chinese government doesn’t care about outside investment. Overseas companies who gain access to the China market do so because of the potential to acquire technical know-how. When it comes to banking and investment, China is very closed off. Foreigners have barely any access to the real estate market and China’s currency is still not easily convertible despite pressure from developed economies around the world. The closed nature of China’s economy, as well as its huge foreign-exchange reserves, is a hedge against the potential damage that over-investment in urban development could cause. If there were to be a problem, China could always do more to open up to foreign investors to prop itself up again. China could also do a lot more to promote internal consumption, including float its currency and remove tax barriers on foreign goods. The time for these measures has not arrived yet. Despite all the hype of being the world’s number two economy, China is still very much a developing country. Investment in infrastructure makes a lot of sense at this point given the how it will benefit the country now and well into the future.